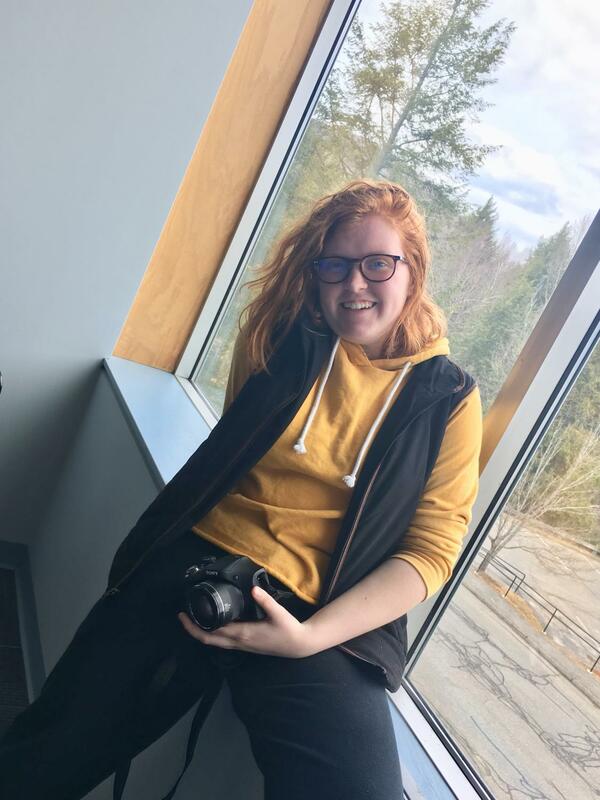 The Echo sat down with Nicole Overbaugh to talk about photography, the processes of filmmaking, and the junior’s current film in the works starring some of Mount Greylock’s own sophomores, juniors, and seniors. ECHO: How long have you been interested in filmmaking and photography? OVERBAUGH: I started photography in eighth or ninth grade. Film specifically, I kind of sparked that in sophomore year. I think I was kind of just fascinated with the behind the scenes aspect of working in a film environment, not necessarily what goes on in front of the camera but the whole directing and producing and cinematographic process of all of it. E: What film class are you taking through Greylock? O: I took film studies with Mr. Niemeyer, which is basically just kind of an intro course to everything film; we watch films and kind of write papers based on specific aspects of the movie. Currently I am taking an independent study class to continue with my film experience with him. As it goes right now, I am writing a script, producing and editing a film. E: What is the film class and independent study like? O: It’s so individualized, which I think is great, because I have the freedom to learn whatever I’m interested in. It’s forty-four minutes where you feel like you’re kind of stepped away from school, but you’re still really intrigued and you’re learning not for a test or not for class specifically, but you’re learning for yourself and the benefit of yourself. So I think having that individualized experience is fantastic. E: What is the film project that you’re working on? O: There are many aspects to it, but kind of the overarching theme is coming of age. It’s about a girl who has a typical high school experience. I’ve used a lot of it based upon my personal experiences, but I think incorporating aspects of my life enhances the overall high school experience-y-ness of everything. It’s also partially about an LGBTQ+ community. I’m openly [bisexual] and I think it was important for the main character in this to have some sort of an experience with that as well. E: Do you think it’s easier writing a story about yourself compared to formulating a fictional story? O: Yes. Giving I am a miserable writer, writing from experience has been relatively easy for me. As a filmmaker, you don’t want to write just your experience. You don’t want to write ‘this is how it really went.’ You want to kind of play onto that and use your imagination, and I think, given that I am the miserable writer that I said I was, being able to branch out and explore what I could do with my script has been beneficial. E: Do you have any plans for your film and what it will look like in the future? O: I am hoping, within the next few weeks, to start shooting. A lot of it is at the school, which makes sense for a high school experience. Some of it’s at the main character’s house, some of it’s out and about in town. Hopefully with some planning, I am able to start soon. At the end of this, when I have edited it and completed it, I will maybe be able to show it. That’s kind of what I’m thinking about. You know, for the people who have been in it or for the people who have worked behind the scenes, or just for people who want to see it in general. E: Do you have anything else you would like to add? O: I would highly recommend an independent study course. Just kind of for anyone, if the school doesn’t offer something that you’re interested in, take that step, plan a course for yourself, and just get out there and follow your dreams. Do what you want to do.